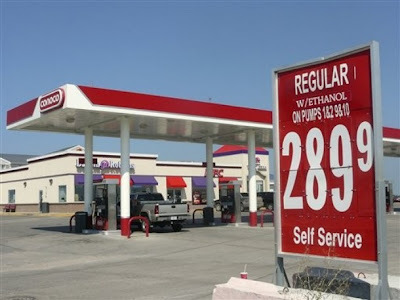 According to reports on MSNBC that's how much a man was billed when he filled up his 1994 Camaro at a Conoco station in Richland, Washington. The man had intentions of charging about $30 to the his PayPal debit card but when he got his next months statement, that trip to the gas station cost him $81,400,836,908. To make matters worse, he had to argue with the customer service rep and force him to believe he didn't spend billions on gas in one trip. He finally got the situation straightened out, but his advice, "pay cash."